Neo tanks has been updated to match the more recent PS3 version (so it looks a bit different and you can take control of tanks). 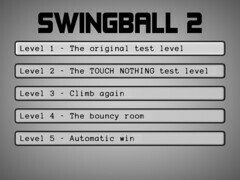 Swingball 2 has newly added music (The Jackals by ara), the menus are now navigated by pointing and clicking on buttons and the level that was remade in the last PS3 release has been updated here to match. Another update to Swingball 2. If you make something cool with the level editor then don’t hesitate to post it in the comments. You now have a score which is displayed at the top of the screen and decreases as time passes. If you score reaches zero then you lose. Your score increases when you collect the white orbs. High scores are automatically saved and displayed in the level selection screen. The level selection screens scrolls so it can deal with a quantity of levels that would be too large to comfortable display on screen. The “automatic win” level has been made more elaborate. I added 10 place holder levels for you to edit (you can edit levels but you can’t create new ones from within the game yet). Here is an update to Swingball 2. There is no Wii version this time but it is available for Windows now and I’ll probably have a Wii version posted soon or at the least there will definitely be one with the next update. The built in level editor still isn’t done yet but if you want to try and make your own level you can easily do so by opening one of the pre existing level files with a text editor (all of the current levels where built using nothing but Notepad++). If you make something nice then post it. Added a level selection screen. Added several new simple levels. Added a blue motion trail behind the player and an explosion effect when you collect the white balls. Changed the way movement and jumping works when the direction of gravity has changed. Lots of other minor changes to movement speeds. Aiming controls have been completely redone for PS3. Made the camera move slightly in the direction you are aiming. Added a proper (though likely only temporary) graphic for the aiming reticule. Removed the in game on screen title text. Reaching the end of a level (or dieing) will send you back to the level selection screen. 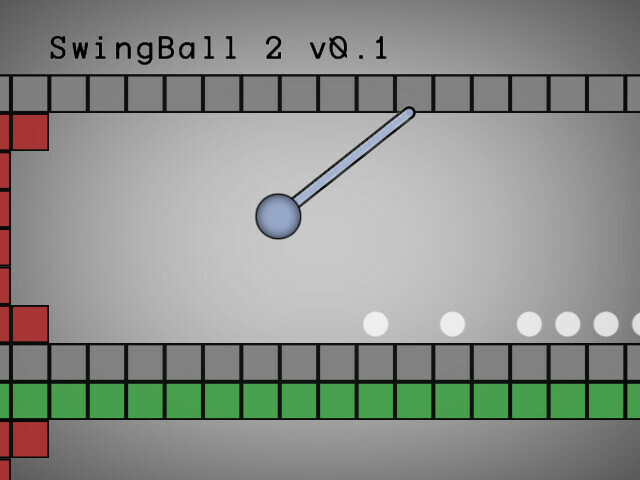 Here is the first and very early release of Swingball 2. Unlike its predecessor it is available not only for Wii but also for PS3 (with a PC version forthcoming). 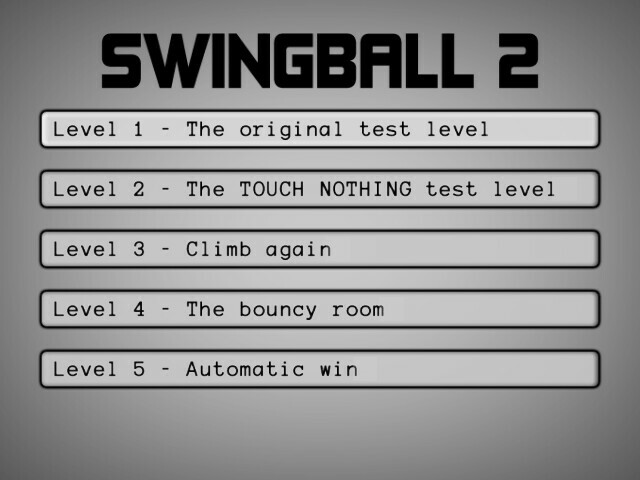 There were some really cool user made levels for the original Swingball that did things I hadn’t even thought of and I’m looking forward to seeing how people take advantage of the new stuff in this game. There are now blocks that can be swung from but not walked on (they aren’t solid). There are also tiles that will change the direction of gravity when you come in contact with them. I haven’t begun it yet but I plan to make a WYSIWYG editor which will make it even easier for people to create their own levels. There is a lot left to do. The game currently just consists of a single test level.